Fresh Look Contracting performs both interior and exterior painting. We have a tried and true process to make sure the job is hassle free and that the finished product will last for years to come. We offers repair and replacement of siding. We use the high quality cement siding and 6 inch seamless gutters. Our siding comes in a variety of styles and textures that will work with any style of home. Fresh look Contracting also offers repair and replacement of gutter systems. We use 6-inch seamless gutters made by Senox®. Stress free home improvements and renovations are within reach. At Fresh Look Contracting, we use professional, skilled and courteous contractors who will treat your home with respect. We will help make the home improvement visions you have for your home a reality with as little trouble and lifestyle interruption as possible. A deck is a well-loved extension of your home. Treat it the way it deserves to be treated! We can do as little as pressure wash, stain and seal or as much as deck repair, restoration and even replacement. 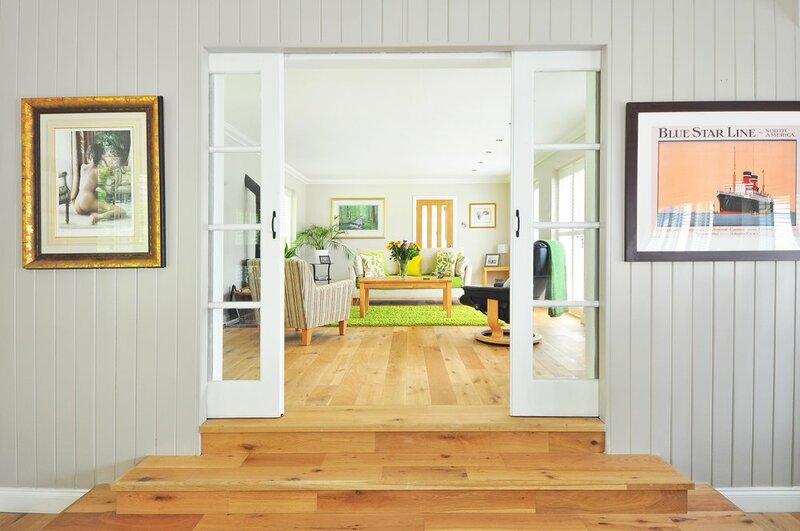 Interior carpentry can create a fresh look in your home that everyone will notice. Our skilled carpenters can do repairs to existing woodworking in your home or we can create a dramatic new look with updated trim work and fine carpentry such as shiplap, decorative wood walls, built in book cases and wood ceiling accents. All information and images set forth herein are approximations and are subject to change, withdrawal, or substitution at any time without notice or liability.